I’m currently updating my logo and branding and that includes creating new profile images across social media. I do believe that if you’re a personal brand, it’s best to have your profile image be of YOUR BEAUTIFUL FACE. However, if you’re the admin of a hub or have an account that isn’t personally branded, you’ll want to create a logo. 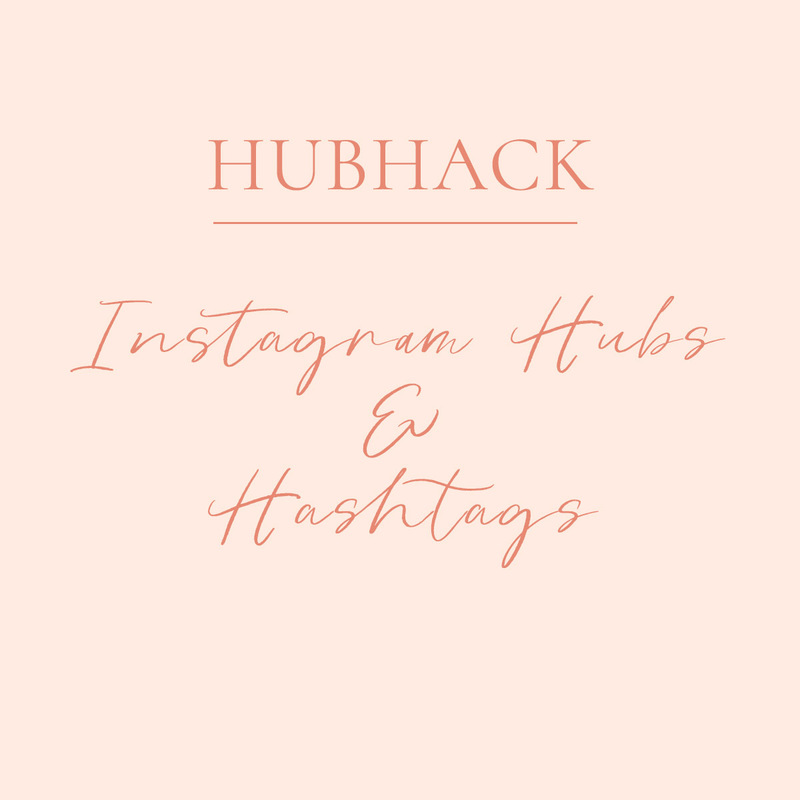 I know many people love Canva or Adobe Spark for creating text-based social media images, but I can’t help it, I adore Photoshop. Nothing else gives me complete control over the final product. 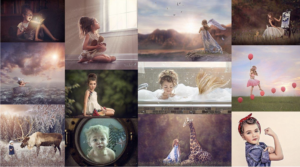 In Photoshop, click File – New. You’ll see this dialog box appear. I’ll walk you through the options. You can change the name of your preset if you like, and I would recommend doing that. Right now mine says Untitled-1, but I’ve since changed it to Instagram Profile Image. Be sure your color mode is RGB Color. 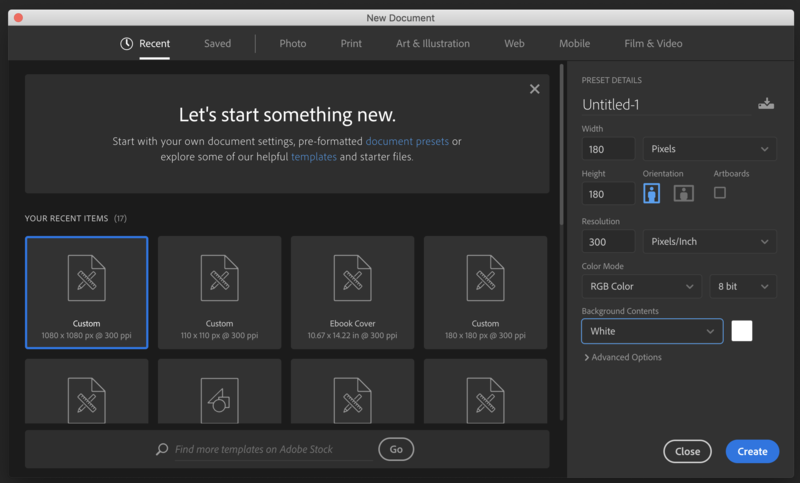 It could default to grayscale, and if you don’t catch it before creating your new document, you’ll be super frustrated when you try to add color and everything is just gray. You’ll have to start all over and create a new document if you make this mistake. 8 bit is totally fine for our purposes. You’ll save file space and for a logo, you just don’t need 16 or 32 bits. That’s super duper high res. For my purposes, I want a white background, but you can select any background color you like. You might want to change the background color from white, because the Instagram overall background color is white and it’ll blend in slightly. There is a faint gray circle surrounding your profile image, so to me, it’s not a big deal. I still want to go with white. If you do want to change the color, simply click on the box to the right and it’ll pull up the color picker. I keep my brand colors in a Note so I can easily copy/paste them when needed. I’m referring to the 6 character, alphanumeric number assigned to every color. You can check the box that says Only Web Colors, if you want to be sure that you don’t select a color that won’t show up as expected online. 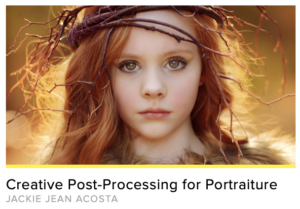 The online color space is more limited. Now, click Create. Your little square will be initially shown at 100% of its size, which is really small to work with, so I command- plus sign to make it bigger to work with. 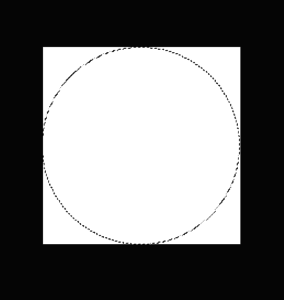 Now it’s important to note that your profile pic will display as a circle, not as a square! 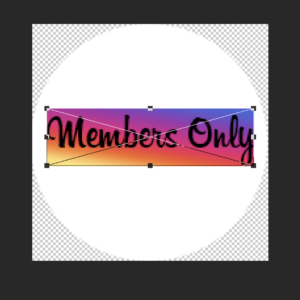 I can’t tell you how maddening it is to create a logo, upload it and then realize that important chunks are missing because they fall outside the circle area. So, let’s go ahead and address that now. You’ll hit the M key on your keyboard, which is the shortcut for the Marquee tool. 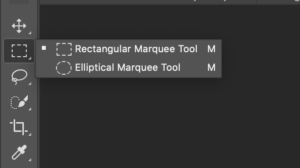 Now, there are two types of marquee tools, rectangular and elliptical. Make sure you’re on the elliptical marquee. Now, you’ll hold down the Shift key and place your cursor in the very upper left corner of your square. Then, while holding down Shift, pull down and across until your circle fits beautifully within your square. Now, let go. You’ll have a selection of a circle within the square. Now, you’ll click to add a mask. Here’s what it’ll look like – you can see my layers panel and the result. You can now use clip art or text to create your logo, and stay within the circular space. I’m simply using text. You’ll want to select a great font- there are SO many amazing free resources online for fonts, or you can buy beautiful fonts online at places like CreativeMarket or etsy. To create a text layer, I’ll simply add a new layer and hit T, which is the shortcut for Text. I’ll select my font (be sure to install your font if you’re using a brand new one) and type away! There are many different things you can do with text, but I’m not going to go into that for this tutorial. My logo is going to be pretty simple. But I would tell you that when I use text, I’ll often create several text layers – I rarely put all my text on a single layer. It’s easier to customize that way. It’s important to note that you’ll want your font to be big enough to read in a small format. If your font is super small, no one will be able to read it. So, keep it short and sweet. Actually, I’m going to use a gradient for my font color. Let me show you how I do this. 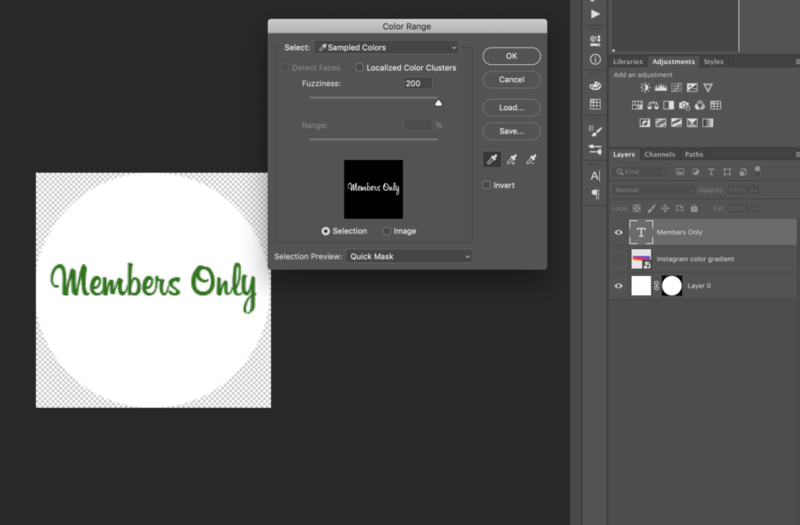 As mentioned above, I’ll click to add a new transparent layer above my initial layer. I’ll hit T for text. Now I’ll begin typing. You’ll notice that the text is super ugly and pixelated! That’s because the font is really big for a tiny image. I’ll just type anyway, and then adjust my font size. It depends on the type of font you’re using, but for my purposes, 8.95 seemed to fit best. If the pixelated font is scaring you, you can hit Command- Minus sign until your image is sized back at 100%. You can see the percent in the name of the file, as a tab in Photoshop. It also shows in the lower left hand corner. Once you hit 100%, that pixelation shouldn’t be an issue. Rest assured! Now, I’m going to increase my size to make it easier on me, by hitting Command-Plus sign a couple times. Now, I’ll add my color gradient, or you’re welcome to create your own. 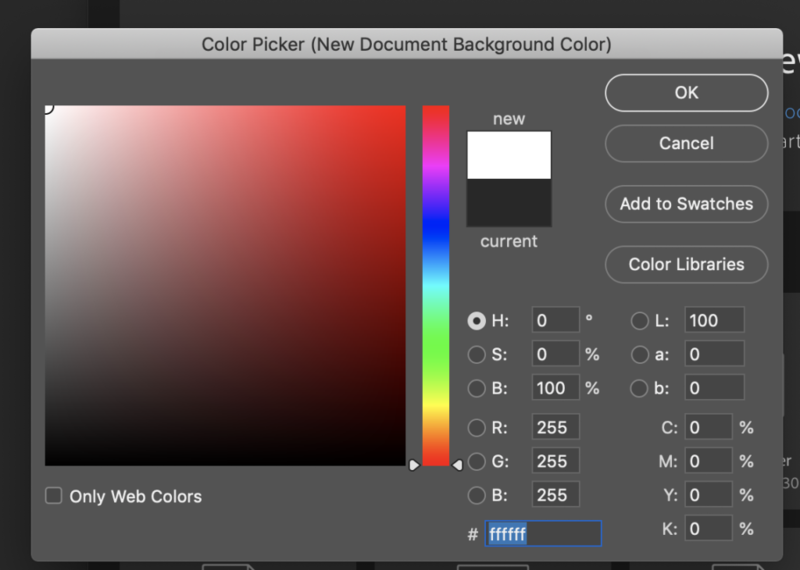 (That’s a tutorial outside the scope of this article, but feel free to check out this tutorial from Adobe on how to create a color gradient.) Since I already have a color gradient saved as a file on my computer, I’m going to click on File – Place Embedded. What’s the difference between Place Linked and Place Embedded, you ask? I have no idea and I don’t care to spend the time to look it up. It’s never been an issue, and I’m pretty sure you could select either one. I just like Embedded because it always works as I expect. Now, hit Return to set the placement and turn off the Transform. Now, click the eyeball to the left of that gradient layer to turn it off. So, the color is gone and we just have the black writing again. Tap on the text layer to select it. Now, click Select – Color Range. The black text should now be selected and be turned Green. If the opposite is true, just check the Invert box. Make sure Localized Color Clusters is off and you really need your text to be black black. If it’s gray, this won’t work as well. I guess you could play with the fuzziness or range, but for me, I just make sure my font color is true black. 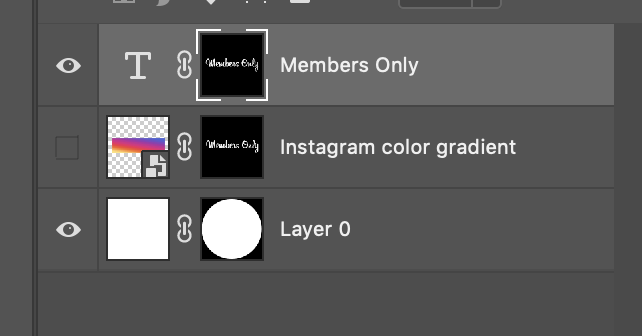 Now, make sure that your mask is selected in the layers panel; you’ll know if it is, if there’s a white border around it. If not, click on the mask to select it. Next, you’ll hold down your Option key (on a mac, I have no clue what you’ll do on a pc… sorry!) and drag the layer mask down over the layer with the color gradient. Next up is where the magic happens! You’ll turn OFF the eyeball for the text layer and turn ON the eyeball of the color gradient layer. Voila! If the pixelation is driving you batty like it is me, click Command- Minus until the image is sized at 100%. You shouldn’t notice that pixelation anymore. At this point, you can save it as is, or you could even turn off the eyeball of the Layer 0 to make it all transparent. This is helpful when you’re creating logos for websites and don’t want a box or circle around them. You just want the text. You’d save it as a PNG to keep that transparency. If you save it as a JPEG, it’ll default to a white background. So, I’m happy with this and will save it and upload it to my Instagram account to use a profile pic. If you have any questions at all, feel free to DM me at www.instagram.com/photographerhack. I’ll check those faster than the comments below, but you’re welcome to comment if you like. I decided to record a video of this process as well, and you can view it below. Thanks for watching.